Foetal stem cells transplanted to a boy with a hereditary neurodegenerative disease have grown into noncancerous tumours in his brain and spinal cord. Though the poorly documented procedure did not occur as part of a clinical trial, it marks the first reported case of a brain tumour resulting from stem cell transplantation and highlights potential risks of cell-based therapies. Worries that stem cells might form tumours, particularly in the brain and spinal cord, have long plagued clinicians and regulators charged with deciding whether experimental stem cell treatments are safe enough to test in patients. Though regulatory authorities require evidence that transplanted cells are unlikely to form growths, current assays can't answer the question definitively: they all inject human cells into rodents, and human cells presumably grow better in their own species. This month's publication in PLoS Medicine is the first to show that foetal neural stem cells can indeed cause abnormal growth1. Researchers from Sheba Medical Center in Tel Aviv, Israel, identified the growths in a 13-year-old patient who was suffering recurrent headaches. Three times previously, the boy's parents had taken him to an unrelated clinic in Moscow for injections of foetal neural stem cells. When Israeli scientists led by Gideon Rechavi surgically removed the observed growths from the spinal cord, they found cells within them that could not have arisen from the patient and must have come from at least two genetically different individuals, one of whom was female. Researchers are outraged that the treating clinic, which Rechavi says will communicate with the Israeli scientists only through the boy's parents, apparently did very little work to understand the cells before transplantation. "There is an extraordinary degree that we don't know about those cells", says Steven Goldman, an FDA advisor and chair of neurology at the University of Rochester Medical Center, New York. For instance, he says, it's essential to know how old the foetuses were, what part of the foetal brain the cells were gathered from and how long the cells were cultured. In addition, Goldman believes that the methods that were described to expand the cells in culture might have contributed to their ability to form tumours, an observation he hopes scientists will consider as various types of cell therapies move toward clinical trials. "Just because a cell comes from a given safe population does not mean that it will remain safe", he says. "As I understand, they had no preclinical evidence for efficacy at all", says Olle Lindvall, a clinical neurologist at Lund University Hospital in Sweden who recently oversaw the drafting of guidelines for clinical translation for the International Society of Stem Cell Researchers. "This is the kind of experiment that the ISSCR guidelines condemn." Although the Russian clinic has shared some information about the procedure with the patient's parents, Rechavi says it has declined to communicate directly with the Israeli team. Out of respect for the family's wishes, Rechavi is not disclosing details about the patient's current condition or the identity of the Russian clinic. There have been cases in bone marrow transplants and even some organ transplants in which malignancies derived from the donor have been found in the recipient, and the boy's disease had weakened his immune system, probably making his body less likely to reject the transplanted cells. "I was disappointed and upset by the finding of a tumour, but not really surprised", says Rechavi. "I, as the attending physician, spent long hours trying to convince [the family] that the suggested treatment is premature and carries risks including tumour development." Though the tumours are not cancerous, they represent a serious adverse event. If it continues to grow, the tumour in the boy's brain stem will be fatal, says Goldman; the ones in his spinal cord would have already rendered him unable to walk if his disease, ataxia telangiectasia, had not already put him in a wheelchair. Goldman believes that many techniques that induce cells to expand in culture render them more likely to grow inappropriately. This piece of news follows a string of advances. In the past three months, biotech companies ReNeuron in Guildford, UK, Geron in Menlo Park, California, and StemCells Inc. in Palo Alto, California, all received regulatory authority to proceed with clinical trials to test foetal neural stem cells or cells derived from embryonic stem cells in stroke, spinal cord injury and Pelizaeus-Merzbacher disease, respectively. 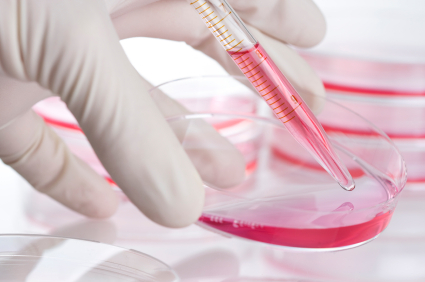 All three companies describe extensive characterization of their cells. The PLoS publication could help patients better understand the risks of procedures, says Insoo Hyun, a bioethicist at Case Western Reserve University in Cleveland, Ohio, who has led efforts to help patients assess risks of stem cell procedures. Although anecdotes of patients going to unregulated clinics for stem cell procedures abound, very few are reported in the literature. The PLoS study also emphasizes the need to follow patients over several years. But this reported outcome will likely do little to help researchers understand or avoid risk, says Theo Palmer, a neuroscientist at Stanford University in Palo Alto, California, and member of the committee that reviews any protocols in which stem cells would be transplanted to patients as experimental therapy. "There's no way to know if the cells used in this transplant would have passed the preclinical safety tests currently required before a trial starts in humans."